Avenue. He is listed as a builder. Elmyra died December 5, 1867.
died April 1, 1872 and Ida married James Brown of Kingston, New York. 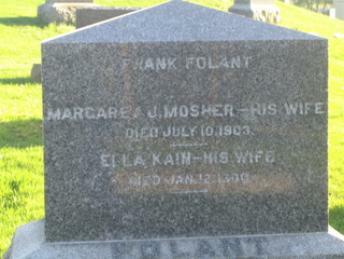 Fishkill Rural Cemetery, Dutchess County, New York.